Thanks for your interest in vending at Creatively Pittsburgh, a pop-up market hosted by the 3rd annual Pitch, Publish, Promote conference. In addition to selling to our 150 attendees, the market is free and open to the public. We expect an additional 500+ attendees. Please check-out all the details about becoming a vendor at our annual conference and apply below! SET-UP TIME: Starts at 7AM EST. Booth must be ready to go for 10AM. There is a side door where you can park and load your supplies. ATTENDEES: Our conference hosts 150 guests each year. 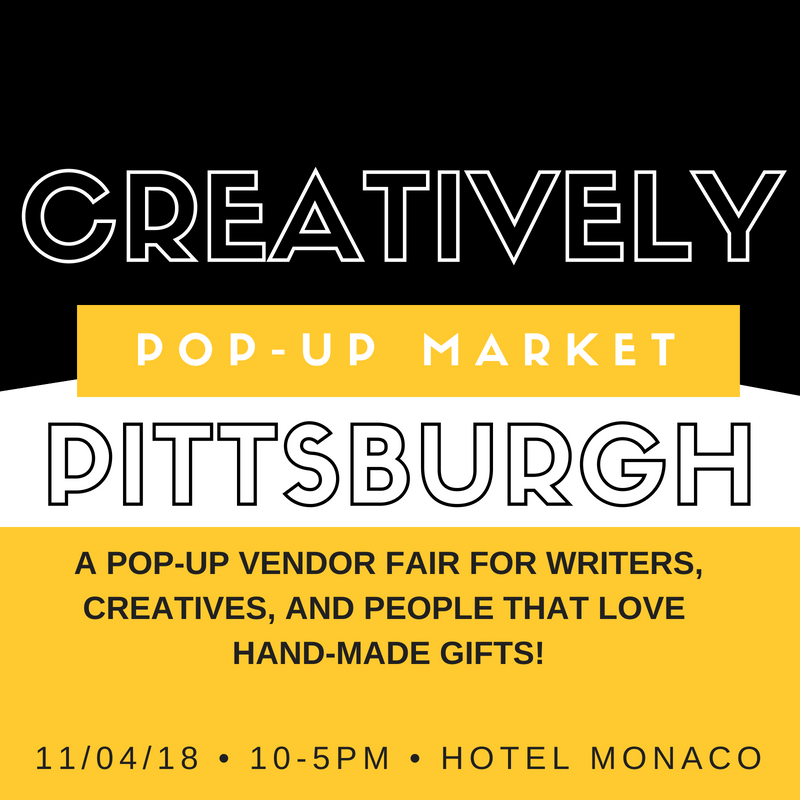 In addition to our conference guests, the Creatively Pittsburgh pop-up vendor fair is free and open to the public and will be marketed on social media, to Hotel Monaco Guests, and through PR efforts. We are expecting about 500+ additional attendees. VENDOR SELECTION: We select vendors based on product category to ensure that no two booths over-lap. We are interested in hand-made items, gift items, and informational booths that help creatives and/or writers. Selections will be made on a first-come first-serve basis. All vendors will know by September 30, 2018. WHAT'S INCLUDED: The vendor booth price includes a 6 ft table, two chairs, 2 social media mentions, and an advertisement in our event program and a link back on the website. VENDOR FEE & PAYMENT: The fee is $149 and must be paid-in-full within 7-days of acceptance. We will reach out with a payment link and additional details upon acceptance.